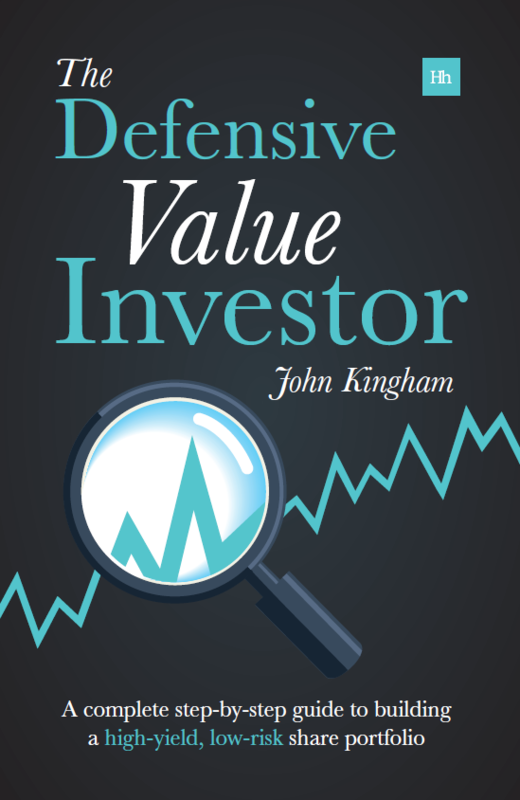 Who is the heavyweight dividend champion? One argument against investing in mega-cap dividend stocks is that elephants don’t gallop, and it’s true; they don’t. However, as a dividend-focused investor I’m not necessarily looking for companies that can grow at ten or twenty percent each year. What’s important to me is a market-beating combination of income today and potential growth tomorrow, from companies that are less risky than average. And many mega-cap stocks, including some of the biggest dividend payers in the market, fit that description nicely. 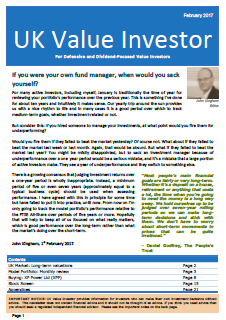 That’s why in this month’s Master Investor magazine I’ve taken a look at the three biggest companies on my stock screen. In other words, the three highest market cap companies from the FTSE 100 that paid dividends in every one of the last ten years. The three companies (Shell, HSBC and BAT) are all very different, so which one will be the heavyweight dividend champion? 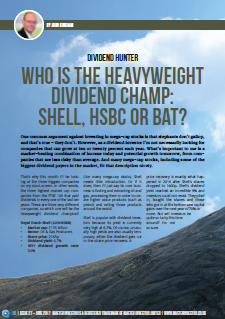 Who is the heavyweight dividend champ: Shell, HSBC or BAT? Nice article John, and comforting that the conclusions are my own. I held both HSBC and RDSB and sold out, fortunately at a reasonable profit. I more than doubled my return on Reynolds and invested in BAT and IMT. I retained the latter two and sold the former. The one dividend stock I have concern about is Glaxo. I’m not concerned about the Woodford sale, because I don’t hold his judgement in the high regard many others do, but more about the threat to the ViiV division from Gilead and J&J, and having read up on their approaches to the problem. In addition to this the profitability of GSK has declined markedly in the last years and the dividend has been virtually frozen for some years now. It’s not done me any harm as I’m up on the capital value, although not at a market beating rate, plus all the collected dividends. It was 4.5% of my portfolio, now trimmed to 2.17% after taking some profits, but now thinking it’s time to close out completely. The story put out by Terry Smith about cooking the books was also telling in that the exceptionals on the pharmaceutical accounts are no longer realistic and the true GAAP (or IFRS) P/E’s are very much higher than the stated numbers. Although Astra Zeneca (a large holding I sold) is a much worse offender than GSK. At the time the Smith article was written the real P/E of AZN was 69 compared to a core P/E of 15.9 and GSK was 22.5 compared to core P/E of 13,5. GSK’s reported P/E is now over 15, so I assume the real P/E is approaching 30. Where does GSK sit on your stock screen John, and do you have similar concerns, since your last GSK article back in Feb 2016? Funny you should mention GSK and AstraZeneca as they’re the topic of my July Master Investor article. I guess I shouldn’t give too much away before the magazine goes out, but both companies are quite close to the middle of my stock screen, which crudely implies they’re close to “fair value”. I don’t really have too much of an opinion about Glaxo’s ViiV business, but yes, the company’s overall profitability has fallen off a cliff in the last couple of years. It’s all down to the patent cliff and how they manage it, for both companies. I also own both of them. One is close to the exit than the other, but you’ll have to wait for the article to find out which one (gripping stuff eh?). Shell will take a major hit once the full implications of climate change starts to come home to the general public. Make no doubt about it the fossil fuel industry is in big trouble, or if things do not change humanity is in big trouble. Yes I agree, it’s hard to see how BAT’s products add value to the world, or at least add value net of costs. And I think it’s fair to say that Shell has probably not been a positive contributor to our transition to a carbon neutral future. However, I don’t factor such judgements into my investment decision making, unless they affect the financials. In the case of BAT and Shell, the factors you mention may eventually cause these companies significant financial difficulty, but I don’t think that will happen within the ten-year timeframe that I’m typically interested in. If I did feel strongly enough about a company’s behaviour then I would probably attend the annual general meeting and ask the board of directors about it. What about ‘stranded assets’ how much of their assets derives from oil reserves? How will these reserves be valued when we have a confluence of. cheaper battery technology (-80% since 2009), lowing solar costs (-30% last year), electric cars ( California sales up 90% since last year. ), How can that not have an effect on a conventional fossil fuel companies share valuation? The more you study about the problem of climate change the more you relise what trouble we are in.. I suggest It might be worth spending sometime to get to speed on the issue as it will affect all future stock valuations. I might buy some popcorn and watch the action. though..
Stranded assets are indeed a major potential problem. The best work I’ve seen on stranded assets comes from Carbon Tracker who, I think, coined the term “carbon bubble”. Their latest report, 2 degrees of separation, covers exactly this topic. It shows that 30%-40% of Shell’s potential capex to 2025 could be wasted if carbon emissions are kept within the levels required to keep the world below 2 degrees of warming since pre-industrial times. So yes, things could be bad for Shell, but only if we assume the world does what is sensible and moves aggressively to reduce carbon emissions. Since we are unlikely to stick to a 2 degree pathway, I think Shell is reasonably “safe” for now, although if you’ve read the article you’ll know I’m not exactly keen on investing in it. And I agree that climate change is one of the biggest known threats that we face. But I don’t invest based on macro-economic events. I just stick to buying good companies at low valuations, and hope that it works as well during the next 100 years as it did during the last 100 years. Hi Steve, It’s admirable to hold strong views, but the extension to individual stocks or sectors is very difficult to adopt. – Soft drinks industry because of sugar content potentially causing type to diabetes? – Battery manufacturers because it exhausts rare earth metal resources and also there is a massive waste diposal issue for the chemical aspects. There’s always an argument or an angle to stop an altruist from making an investment decision, so it all depends on your objectives — if you want a diversified risk balanced portfolio it may be difficult to avoid investing in some of these sectors. Could be quite risky to invest everything in organic vegetables for example.